“Safe” is one of those words that has so many meanings, from protected and guarded to that box where we lock away our precious material possessions. “Adventure” is described as an exciting or unusual experience, which may involve risk. 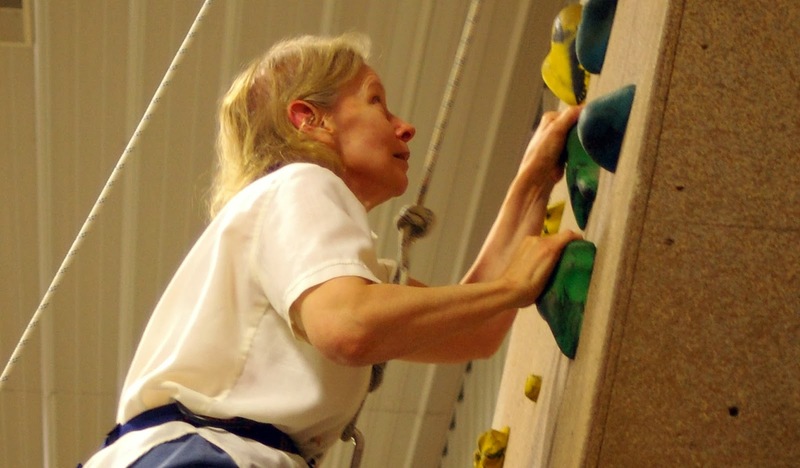 From the moment I arrived at my first Retreat & Refresh Stroke Camp in June 2008, I discovered that the terms “safe” and “adventure” are perfect and fitting companions, and beautifully describe the camp experience. As a volunteer and while collecting information for my books, I've interacted with hundreds of campers over the years, and a frequent theme of “courage” emerges. It does take a tremendous amount of courage for many stroke survivors and their caregivers to venture out into the “normal world,” where the effects of stroke may be glaring to the uneducated, with physical, emotional, cognitive, speech and other challenges. 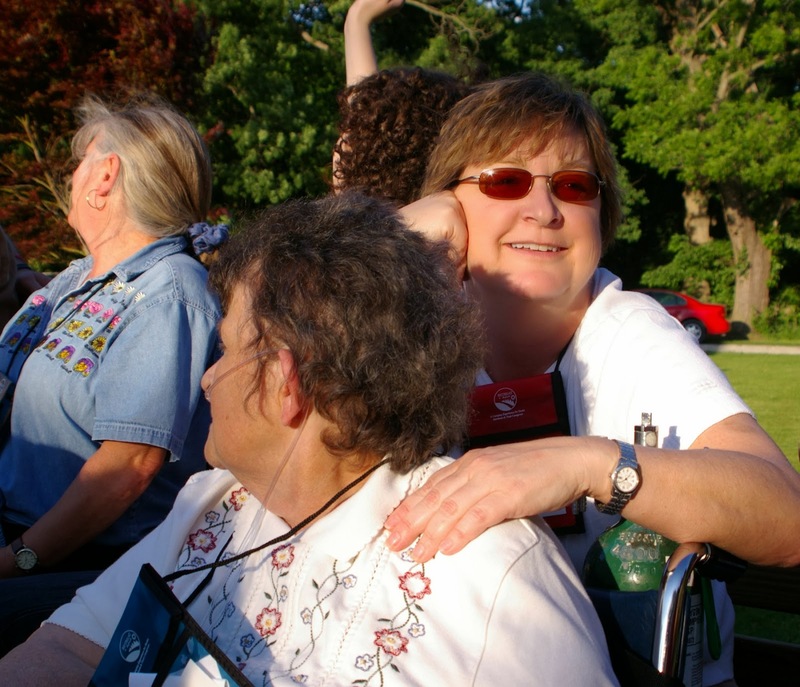 During the numerous conversations I've had RRSC executive director Marylee Nunley, we've often noted the “safe” component of camp, where survivors and caregivers have a chance to share experiences in much more depth than the standard hour-long monthly support group setting. It's so refreshing and rewarding to engage in each other's lives and “live together” for nearly 48 hours. At the same time, they don't worry about people staring at them in curiosity or simply ignoring them. Everybody at camp “gets it.” Do you realize how important, how fulfilling, how empowering, how human that is? Being accepted when you have difficulty speaking, when you need a wheelchair to get around, when you need some help cutting the meat on your plate? Do you know how incredible and amazing it is to have fellow caregivers who understand similar challenges and joys? I've witnessed countless survivors and caregivers take risks they wouldn't consider exploring elsewhere. What are those “big” risks? Playing the drums, asking questions, playing games, allowing themselves to be pampered, singing or performing in front of an audience, acknowledging their fears, sharing what's on their heart, and laughing, laughing, laughing! 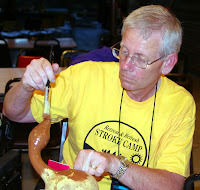 Stroke Camp is the largest cheering block most of our families will ever find in a post-stroke world, and for some, it's a stepping stone to discovering even bigger and better adventures and audiences awaiting the gifts only survivors and caregivers can offer. Start packing your bags! Another great Stroke Camp adventure is in the works! Tell other families they need to experience the safest adventure of their lives this year! This is the third in a series of articles written by Monica Vest Wheeler. If you missed the other two at the end of December 2013, now is a good time to get caught up. Just look for her name at the end of the title. The concept of Retreat & Refresh Stroke Camp was a whole new experience when I attended my first camp in June 2008. Though I clumsily offered my services as a volunteer, I spent more time people-watching and listening than lending a hand. I watched this group of individuals, each with their own story and background, meld into a group that quickly found collective joy, support and encouragement. When I first talked to executive director and founder Marylee Nunley weeks earlier, she had explained that everybody wants to tell their story, because stroke is the most dramatic trauma many of these families had ever experienced. Why? Because it changed them and the course of their lives forever. Most say it’s “bigger” than cancer or heart disease with its memory, cognitive, speech or paralysis challenges. “You don’t lose the person, but there are a lot of behaviors altered,” she explained. That’s hard for many people, and some may feel sorry for themselves. As I watched campers and volunteers move from one activity to the next, I witnessed this overwhelming, yet not smothering, sense of family. A tractor pulling a trailer, affectionately called “the people mover,” took everyone on an old-fashioned tour of the grounds. As I bumped along with everyone else, I could not mistake how something so simple could create such joy … the smiles, the laughter, the hand-holding, hugs and soul-refreshing relaxation. The family-style meals created a real sense of community as volunteers gave the caregivers a break and offered survivors any assistance they needed in serving or cutting meat. I remembered what Marylee had told me earlier. “If you can’t find a word, then somebody will help you. If you’re drooling and don’t have sensation on one side, if the food is there, we’ll just hand them a napkin and say, ‘Oops, let’s tidy up here.’ We all know that’s the way it is with surviving a stroke.” She said many stroke families don’t go to nice restaurants anymore because of the stigma or feeling embarrassed. The term pampering took on a whole new meaning when I watched the other volunteers give campers massages and manicures on Saturday morning. All who indulged in the back rubs were visibly relaxed as their pace of breathing slowed to give tired and tense muscles a reprieve from constant stress. They played games, joined in crafts, and some even climbed the rock wall. ended. However, its lessons learned and connections made gave these campers the fuel they needed to return to everyday life. “Retreat & Refresh” was true to its name. I didn’t want to leave either. I was addicted. After 40-some camps, I’m still here and looking forward to embracing the love, laughter, adventure and everyone I will meet this year. I'm not a medical professional I'm a computer geek so, before acting on anything I say in this post, I suggest you talk it over first with your doctor or physical therapist (PT). 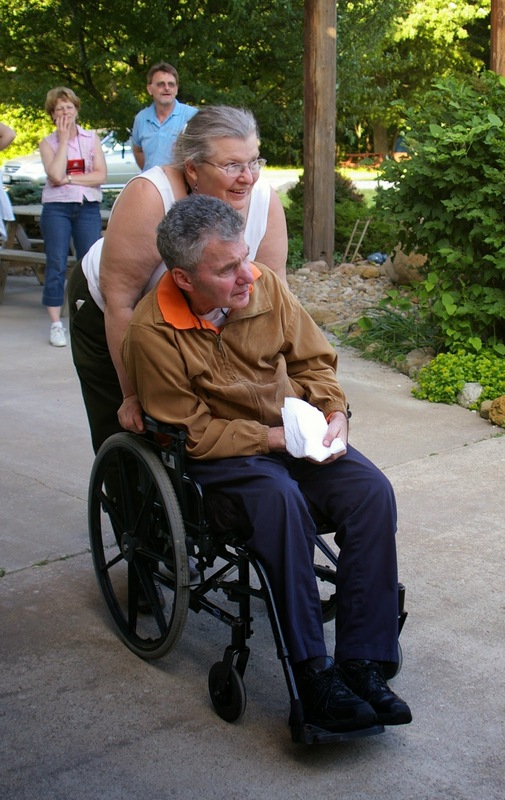 Recovering from the effects of a stroke is the most difficult thing a survivor and caregiver together must face when he or she returns home from the hospital. When a person suffers a stroke it has been estimated that they are losing 1.9 million brain cells per minute. You can see how this rapid deterioration, if left unchecked, is going to eventually seriously affect a persons physical well being as well as their mental one. The length of time this is allowed to go on is then going to affect how severe the deterioration is going get. Stroke survivors have to relearn things previously taken for granted, perhaps, all over again. How much is determined by the factors mentioned above. Fortunately the brain can be retrained. With physical therapy the brain can be convinced it must try to repair or reroute paths around the damaged areas that used to control those muscles or mental faculties before the stroke. I'm going to be addressing only the physical part in this post. That damage can range from extreme weakness to an affected limb to that limb being completely paralyzed. Physical therapy with a licensed physical therapist is essential to get those arms and legs working again. We are talking about sitting, standing, walking, even something as simple as getting in and out of bed or a car. From the camps I've been to, I have seen how difficult these seemingly simple things can be to a survivor. But, as difficult as they are to them, they can be conquered to a great degree, if not completely, with physical therapy. Oh, and you may have wondered what the difference is between physical therapy and occupational therapy, both being essential elements towards recovery? A simple explanation is that an occupational therapist helps you learn how to do things like feed and dress yourself while a physical therapist helps with muscle building and mobility training, i.e. : the sitting, walking, moving about I mentioned earlier. The goal of the PT is to get the survivor moving as soon as possible and getting them to do this on their own. This is pretty much true for any type of hospital stay where motion has been affected, such as knee replacements and the like. You don't want those muscles to atrophy. After an evaluation of the patients condition, the PT will decide what needs to be done and many times, if the patient can't do it on their own, the PT will begin by doing it for them. The important thing is to get those muscles working. It's very important to note that the survivor is not and should not be alone in this. Caregivers and family members need to be involved also. Much encouragement and positive reinforcement from others is needed, and I believe the speed of physical improvement is directly related to how much and how often this is given. 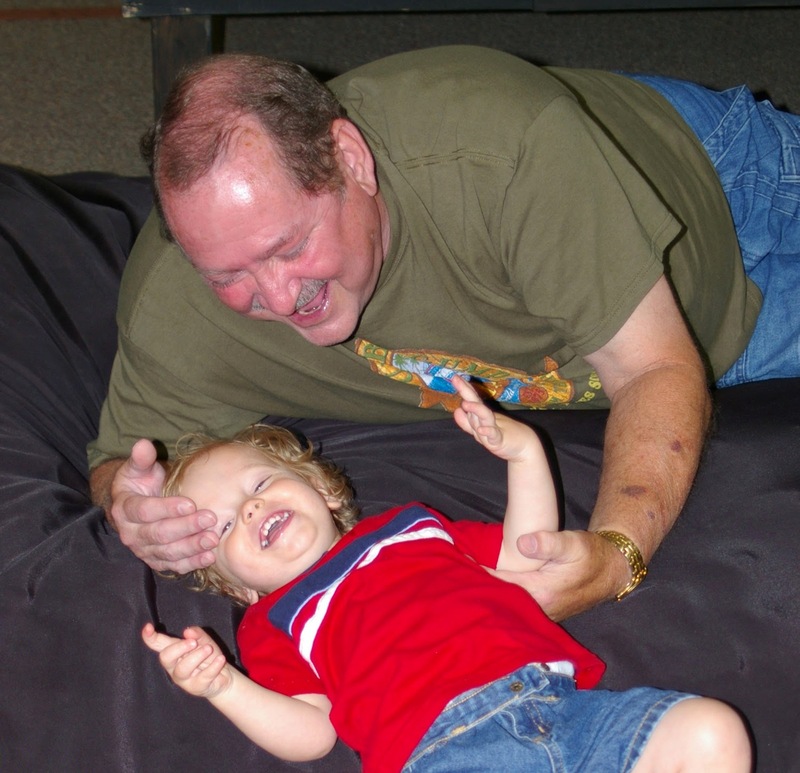 Expect the physical therapist to get others involved in sessions. Physical therapy will often start in the hospital but it will, and must, continue even after discharge. The same therapist may even be involved but, if not, there are other programs and physical rehab centers available. The hospital should be providing this information prior to discharge. Of course, there is that ugly head of rehab costs that always affect the amount that can be afforded. Everyone's insurance and financial situation is different and so complicated I won't even attempt to cover that now. Just get it and get as much as you can and learn what needs to be done and do it with or without extended professional help. However, I believe recovery is faster, easier on the caregiver and more complete with professional care. Here is an excellent link that can describe rehabilitation much better than I can in this space. Sometime in the near future I'll describe some of the exercises that are taught by the physical therapist. I won't be able to show you how to do them properly but I think I will be able to give you a general idea of what they are. Physical therapy is much more complex than what I can describe in a blog and a physical therapist is essential to make sure they are done correctly and without introducing more damage. How Do We As A Camp Survive? As you all realize, the camp requires financial resources to continue its mission. Historically, RRSC has survived on the revenue it obtains from stroke camp sponsors. As we continue to grow, we also need additional funding for local and national stroke awareness programs through additional sponsors, grant and public donations. So, we do fundraisers throughout the year to support the camps. Some of the things we have done in the past included a “Trivia Pursuit" nights a couple times a year and the "IronMan" golf outing once a year. We also work at a local Raffle (like Bingo) Hall every Thursday night and we are just starting to get sponsorships for our Strike-Out-Stroke™ events as well as MegaBrain events at baseball games, malls, and fairs throughout the country. We have "Trivia Pursuit" nights in the spring and fall. We have a fee for tables made up of teams of eight players. Snacks, a meal and drinks are included. We provide raffle baskets, door prizes, and sometimes a silent auction. We offer the raffle baskets and a 50/50 drawing as a way to raise additional funds. There is a 1st, 2nd, and 3rd place award for the top teams. Attendees enjoy the event and at the same time we generate some funds. All the tables are sold out within a couple weeks of our announcement. We've been doing an IronMan golf outing in the fall for several years. This event is a 7am to dusk golf marathon where, starting early in the morning, volunteer golfers must golf for the whole day and try to get as many holes of golf in as they can before it gets dark. You don't have to be good, you just have to be fast and have the endurance. And, I suppose you have to love golf to do this. We provide the golf course, golf carts and cart drivers, and food and drinks for this event. The golfers use their own equipment. The job of the volunteer cart driver is to assist the golfer with whatever is necessary for the golfer to play as fast as possible. The event takes place at a local public course and the course starter makes sure that all non-participating golfers that day have the understanding that our "IronMan" golfers have priority on the tees, fairways, and greens and must allow them to play through. This has worked very well and the non-participating golfers are always glad to step aside momentarily to help us get those holes in. Before the event, the golfers get pledges from "sponsors" for so much per hole. One of our volunteer golfers set a record of over 350 holes before dark. He is truly an IronMan! Every Thursday we have volunteers who help staff the raffle hall at the Tazewell Festival Center in Creve Coeur, IL. This raffle parlor, owned and operated by Tazewell Bingo Center, helps charities and non-profit organizations, like us, raise money for our activities. Raffle is much like Bingo with enough differences to make it not be called Bingo. However, we also have a bingo license because the state mandates that we play a certain number of bingo games each session. Confusing? Yes! 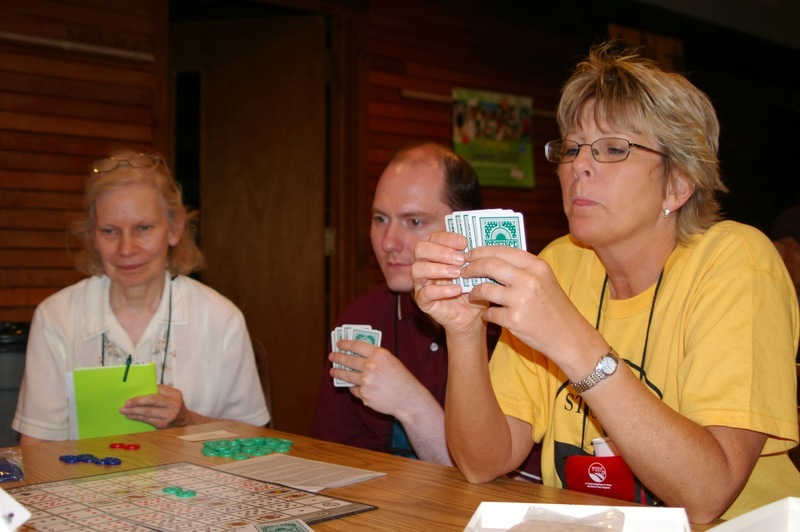 Our duties consist of behind-the-counter sales and distribution of raffle card media and raffle computer use, sales and distribution of various pull-tab gaming cards, verifying the validity of a game winning card or other winning media, distributing winner pay-outs, and periodically assembling promotional mailings for the hall. Sometimes we assist the game number-caller with the operation of the game. We do not call the raffle numbers during a game. They have a paid professional for that and a paid floor manager on-site to assist, direct and train helpers like us. They also have a cafe that serves food and beverages daily during game time. We usually have about six volunteers helping each Thursday. Volunteers usually work two Thursdays a month. 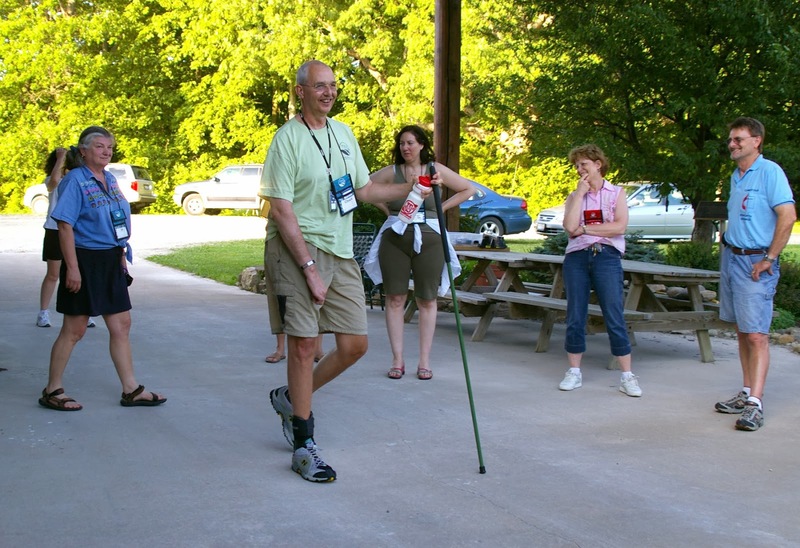 Approximately 3 years ago, Retreat & Refresh Stroke Camp trademarked the term, Strike Out Stroke™. Since that time RRSC has been developing a national stroke awareness program through major and minor league baseball. In 2014, 16 major league and 50 minor league Strike Out Stroke events are being planned throughout the country. In 2013, over one million people heard about the signs of stroke and the need for immediate treatment at our Strike Out Stroke™ events. The events are used to promote stroke awareness in the nearby communities through exposure at the ball games with various activities such as educational presentations, poster contests, pregame ceremonies and public advertising. So far we have had SOS events with the Arizona Diamondbacks, Texas Rangers, Seattle Mariners, Colorado Rockies, Chicago White Sox, New York Yankees, Cincinnati Reds, Washington Nationals, St. Louis Cardinals, Atlanta Braves, Minnesota Twins and San Diego Padres. Every year in June we have a Strike Out Stroke event with the Peoria Chiefs minor league. The Peoria Chiefs are currently the farm team for the St. Louis Cardinals. MegaBrain events feature a huge inflatable facsimile of the human brain. The brain, when inflated, is about eight feet high and fifteen feet square and weighs about 350 pounds, including air. It is constructed so that people can walk through a tunnel going through the center of the brain and, inside, learn about the various diseases, including stroke that can occur in a human brain. Many times the brain is accompanied by a four laptop computer or six Android computer tablet display we developed called ELSIE, which is an acronym for Learning Center. ELSIE presents a multiple choice quiz about strokes and stroke prevention and the meaning of the acronym F.A.S.T. used to identify stroke symptoms. Usually, after taking the quiz, the participant is rewarded with a memento promoting stroke awareness. In addition to the ballgames mentioned above, ELSIE has been to the Peoria Northwoods Mall sponsored by Illinois Neurological Institute, the health fair hosted by INOVA Neuroscience Institute held at the Tyson Corner Center Shopping Mall in Washington, DC, a professional hockey game of the Kansas City Mavericks (incidentally, I got within five feet of the Stanley Cup trophy that weekend), the Kansas City Black Expo at the Kansas City Convention Center Bartle Hall sponsored by the Research Medical Center affiliated with the HCA MidWest Health System, a Seattle Mariners baseball game as well as the Arizona Diamondbacks. Finally the exhibit was featured at the Coralville Mall on Tax Free Day. There will be more in 2014. If you can come up with any more ideas for fund raisers we can try, please let us know. We are trying our best to keep our camps going every year.